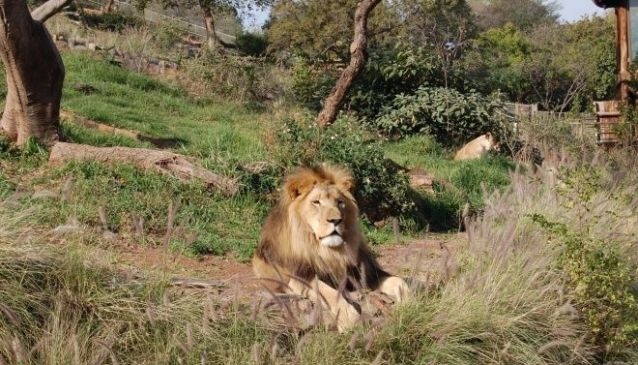 The National Zoological Gardens of South Africa is the largest zoo in the country and the only one with national status. An Aquarium and Reptile Park also form part of the Zoo facility in Pretoria. The Aquarium is the largest inland marine aquarium in the country. For many of the well over 600 000 visitors who enter the 85 hectare zoo in Pretoria every year, this is the only way of coming face-to-face with, for example, an African elephant. Zoos are no longer a glorified list of rare and unusual animals held in cages. Today they play an important role in the conservation and protection of threatened species and the National Zoological Gardens is a facility of National Research Foundation, of which it is very proud. Today there are 3117 animals and the zoo boasts the largest inland marine aquarium in the country, as well as a reptile park. The zoo also has the third largest collection of exotic trees. The world’s first white rhino born in a zoo was delivered here at the National Zoological Gardens. It is also the only zoo in Africa with an insectarium, and a white tiger, and there is an ‘adopt an animal scheme’ that helps provide support for the animal’s food and care for a full year, which gets your free entrance so that you can visit your ‘wild child’ as often as you wish. There are aquarium tours, camping tours (you get to sleep over!) and night tours, which are perfect for spotting owls, elephants, lions and red pandas. Open EVERYDAY! Ticket sales 8:00 - 16:30. Zoo closes 17:30.